Ana Bambic Kostov is an art historian with passion for contemporary art. 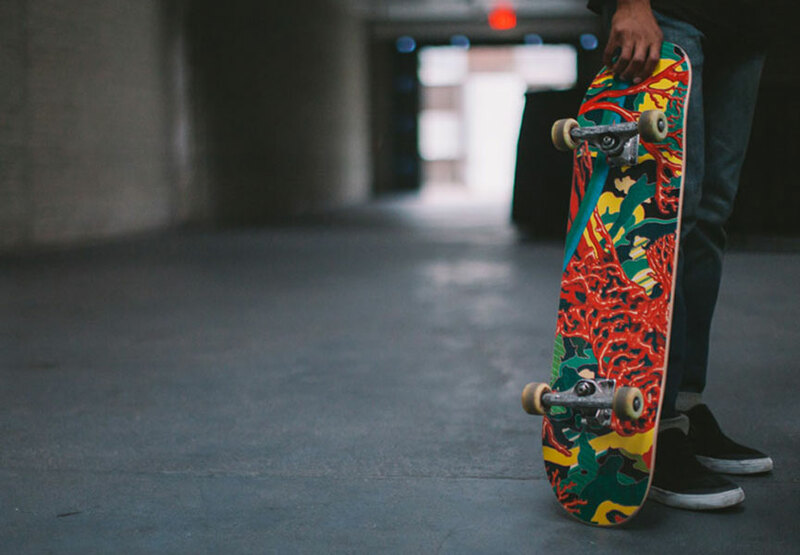 Since the dawn of skateboarding, having a customized board has always been essential. 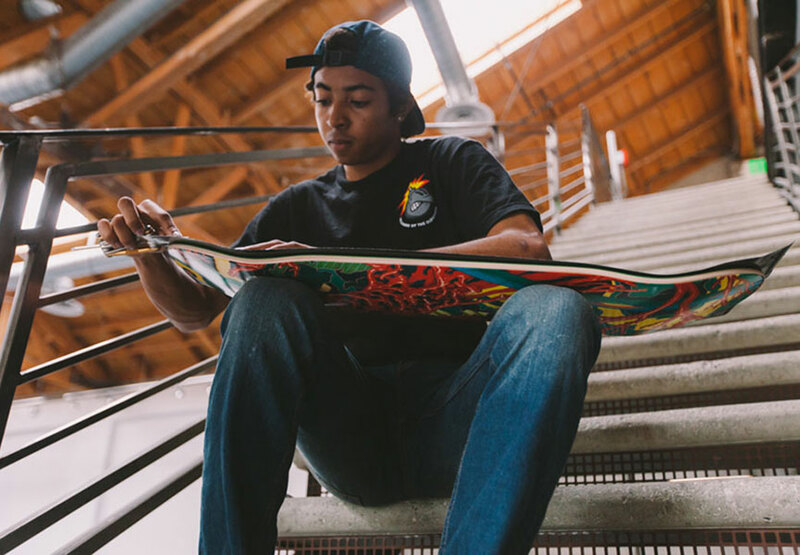 At first, the skaters did these decks by hand, and eventually, designers who love to skate and love the scene got inspired and started creating fantastic brands even – take the Supreme skateboard decks, for instance. As the design pool is endless, and the inspiration vast, we give you a selection of the most coveted boards on the market today. They are limited-edition pieces of art, with a story and the author’s signature motifs and style all over them. 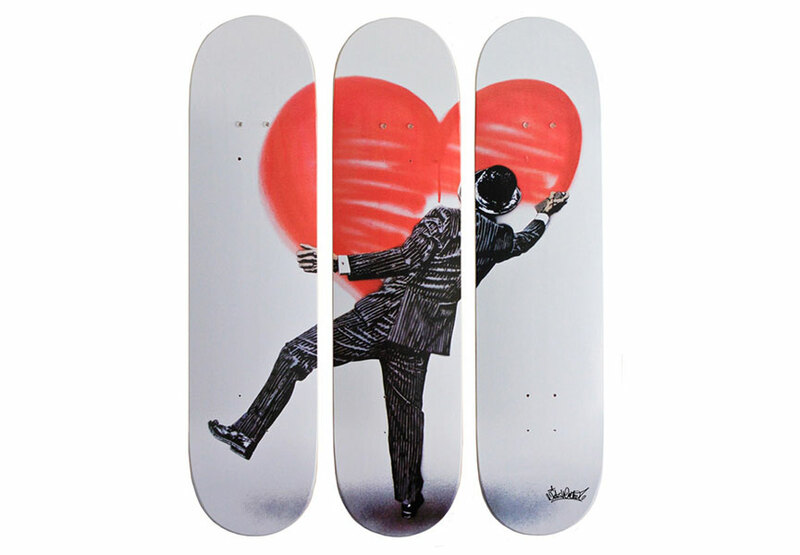 Like street art skate decks? Here’s a great opportunity to pimp yours up! Featuring approximately stickers brands like Alien Workshop, REAL, Toy Machine, Girl, and Santa Cruz, Stickerbomb Skateboard: 150 Classic Skateboard Stickers is the first book to bring together some of the most popular stickers, both classic and new. Skateboard stickers have always been highly collectable, at a time when skateboarding has already established itself in the mainstream, and is now coming back into the ‘cool’, the book will have massive appeal, combining a nostalgic ‘revival’ element appealing to the older generation of skaters, while also having a big appeal to current younger skateboard enthusiasts. The book will also have global appeal due to the widespread popularity of skateboarding culture. 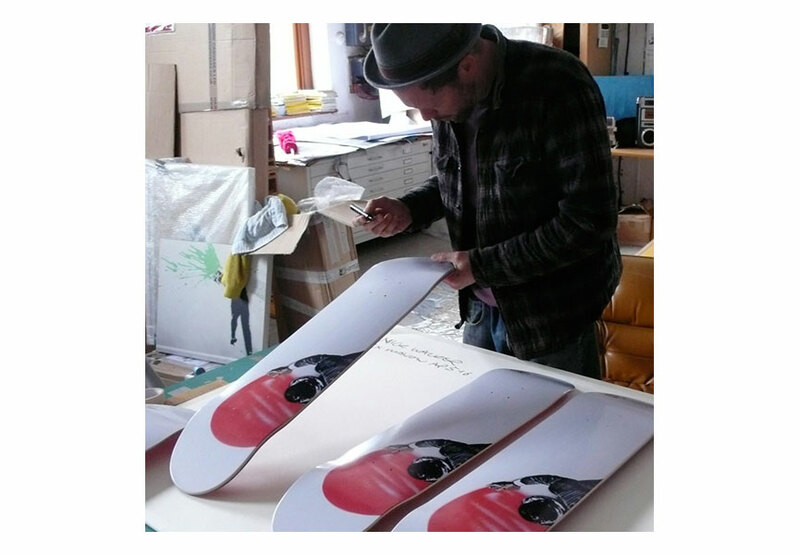 The stenciling Brit Nick Walker designed a set of skate decks with Last Concept. 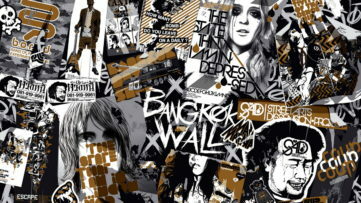 It is the series of three decks connecting into one image, titled Love Vandal. The Vandal is Walker’s famous alter ego, that allows him to travel from city to city coloring the walls and expressing his humor. 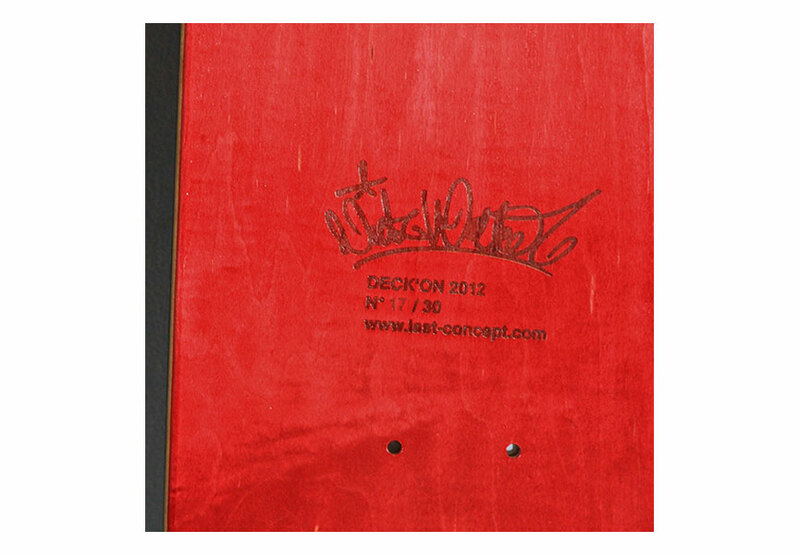 The edition comes in a very limited number of 30, with each deck’s measures being 20x80cm. 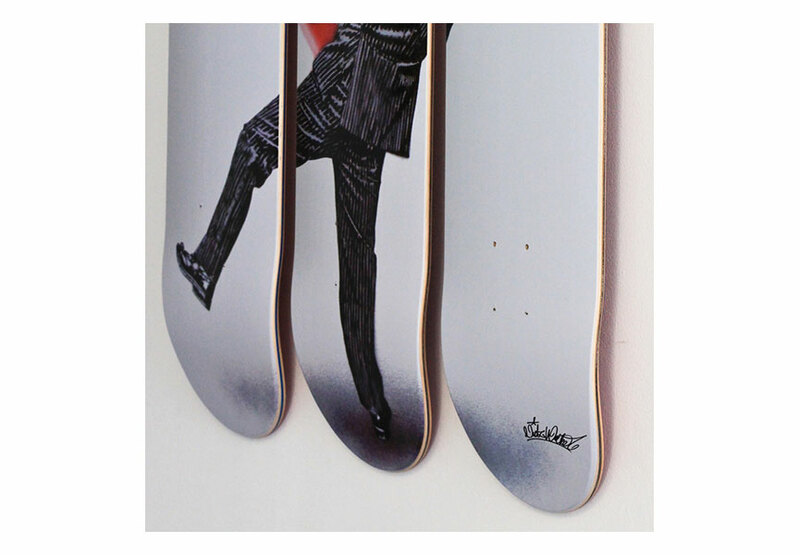 This awesome triptych of skateboard art is signed by Walker, and all the production and edition details are engraved on the back side, making it a spectacular collectible! Dare to wear it out? Check out more works by Nick Walker! 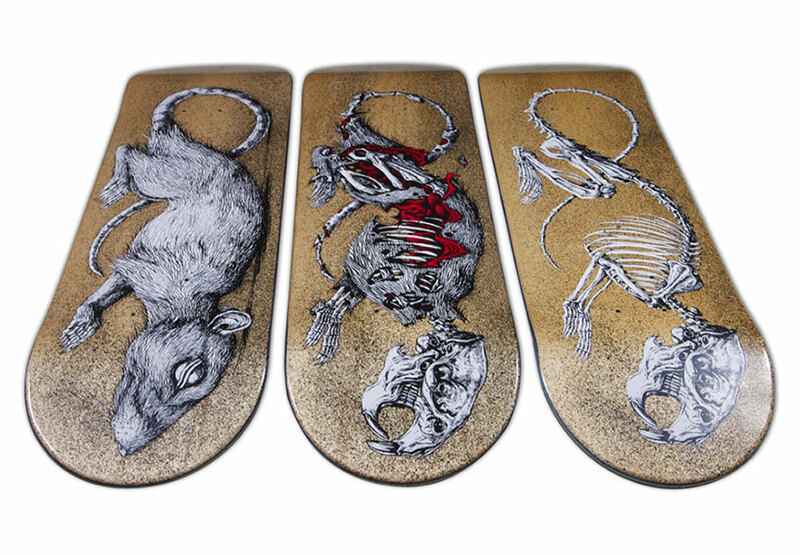 ROA designed a set of skate decks in honor of the SK8room launch, which is the first web based platform dedicated to promotion of fine art skateboards. The new brand invited the Belgian magician, ROA, and the result was a set of three amazing decks adorned with ROA’s singular imagery. When he was a child, ROA used to collect skulls of rodents and birds in order to draw them at home, and now he is known for painting animals and birds that are native to the place being painted all over the world. 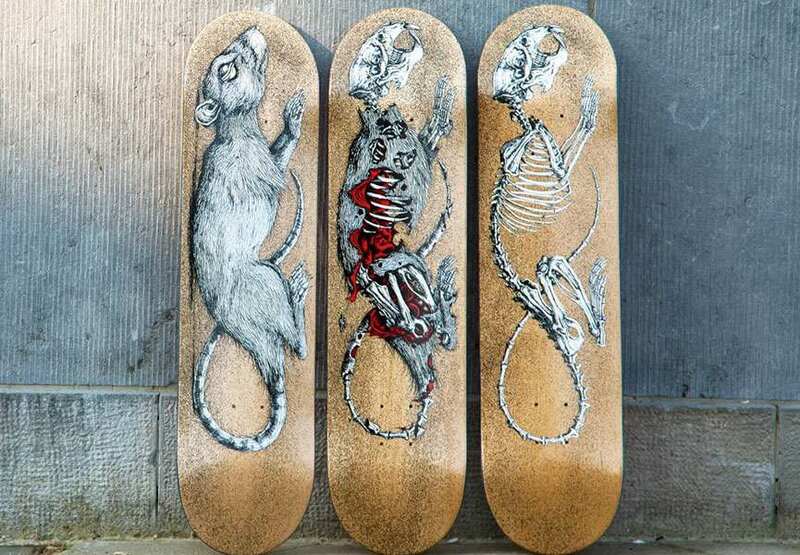 The triptych shows a dead rodent and uses minimal color pallete: black and white, with a bit of red, the usual colors that this street artist uses. 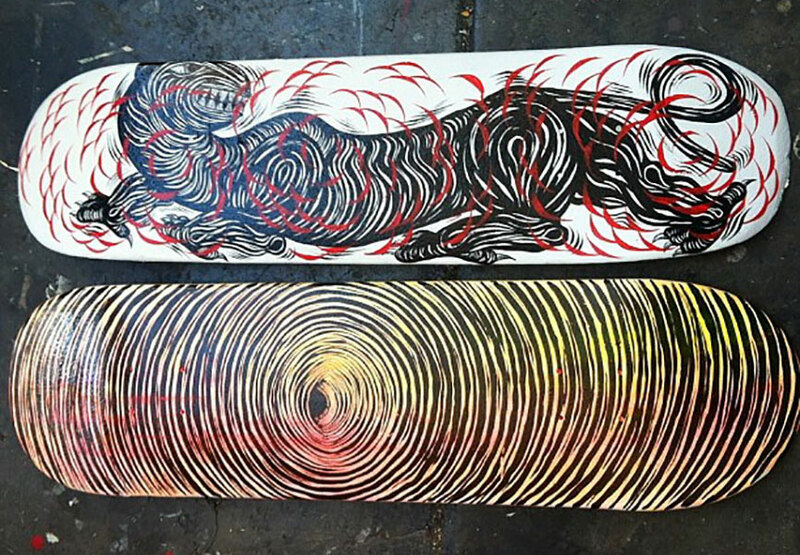 The triptych is named Decay, and it is printed on the 7 ply Canadian maple, measuring the standard 80x20cm. Each design can be purchased separately, while the edition is limited to 125 pieces plus 25 hand signed decks by the artist. A deck with history – is what came out of the collaboration of Jim Muir and Shepard Fairey. 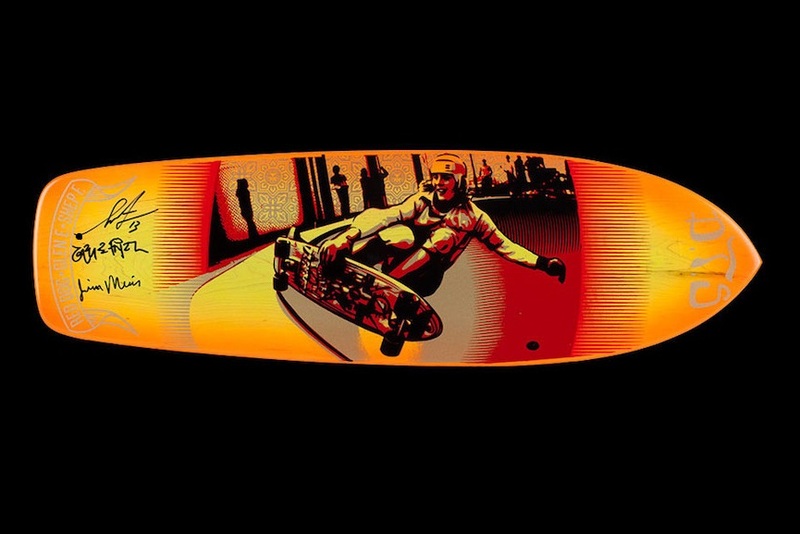 The skate deck features a photo of a young Muir skating, redesigned by Fairey in a poster after the skater broke his neck surfing in 2009. 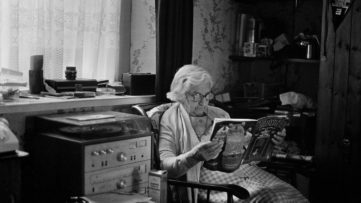 Jim Muir did recover and he hung the Obey poster on his wall and eventually – an idea sprung! 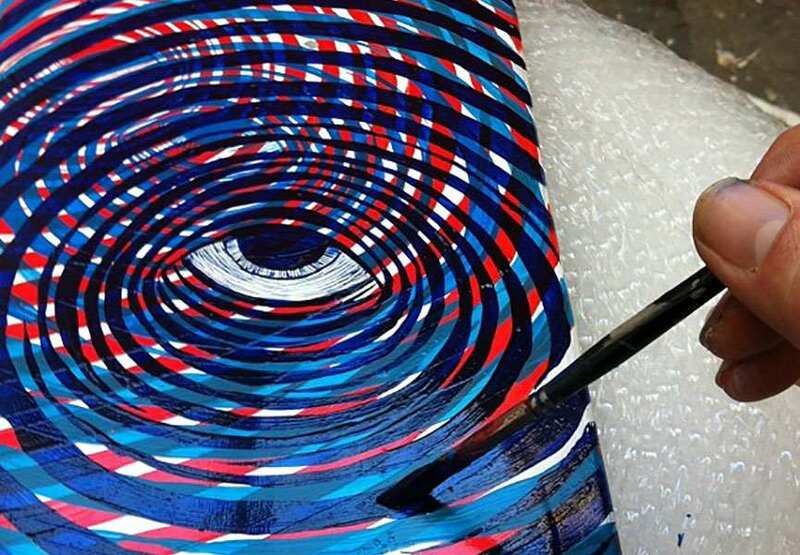 He made replicas of 1977 skateboards and Shepard Fairey resized the poster image and applied it to the board. The final result of the collaborative process is the edition of 90 vintage looking skateboards, made of natural maple. They are all handmade, screen printed by Jim Muir and signed and numbered by him, Shepard Fairey and Glen E. Friedman, the man who took the original image in the ‘77. See more works by Shepard Fairey! 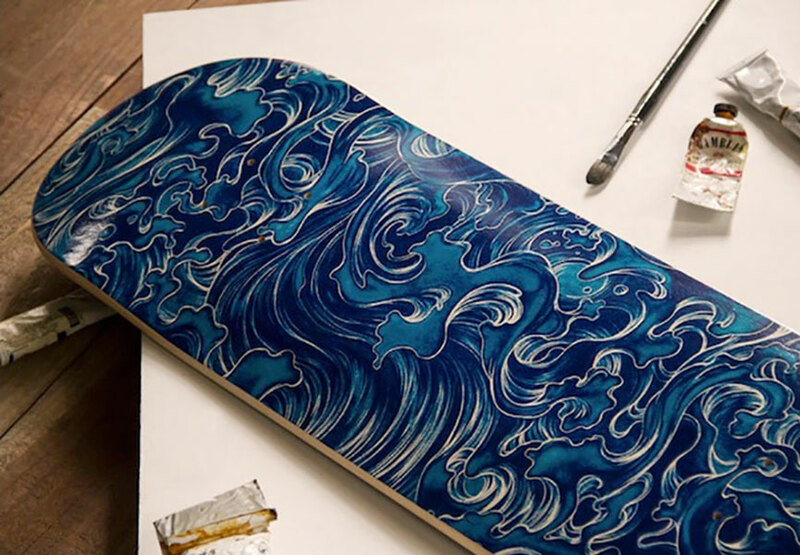 The deck made by Haroshi makes a part of the HUF x Haroshi x DLX art project from 2012. A passionate skater and a connoisseur of skate deck parts , Haroshi is well-known as the artist who uses recycled skate decks. 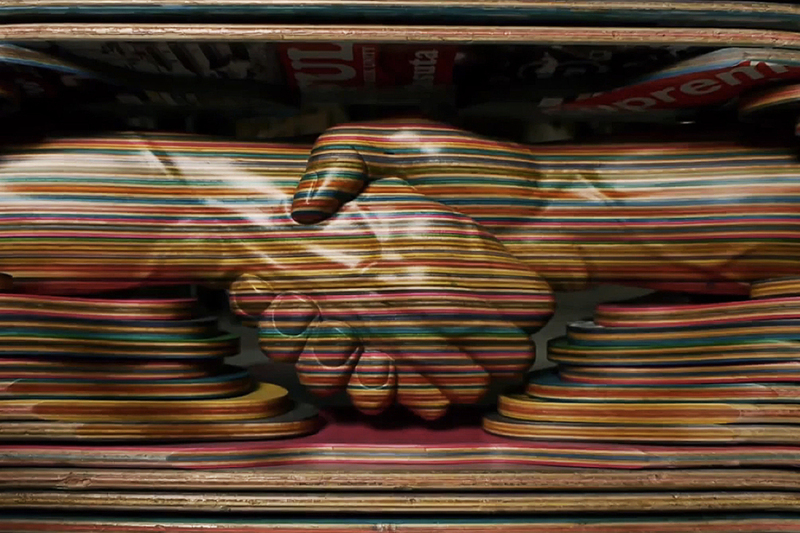 Too reluctant to throw away broken decks, he transforms them into art pieces. Rendered to perfection, each piece of the art series exuded enough character to be poured into design. 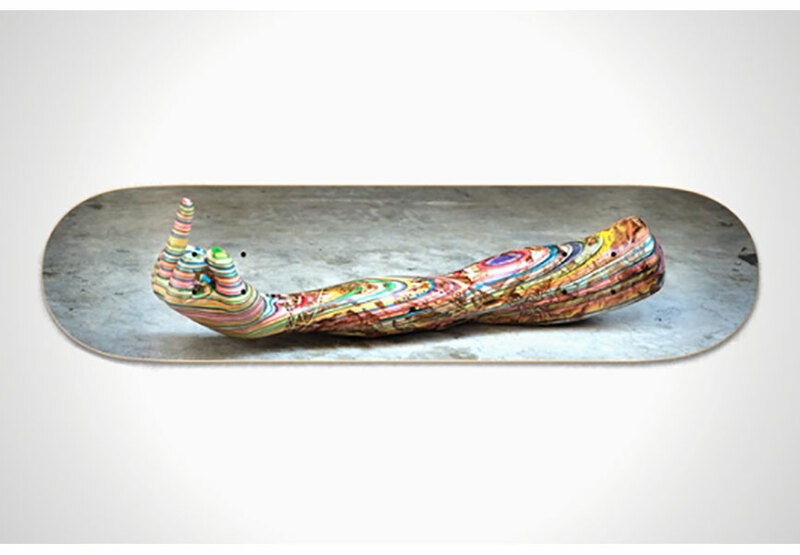 As a highlight, Middle Finger wood sculpture was selected to adorn a skate deck, issued in only 400 copies. Collectable and layered. James Jean made a name as an illustrator, however, his true love is fine art. The American artist of Taiwanese descent, worked with his friends of the LA team, The Hundreds, on the creation of a special collection. The entire collection includes T-shirts, headpieces, sweatshirts and skate decks. 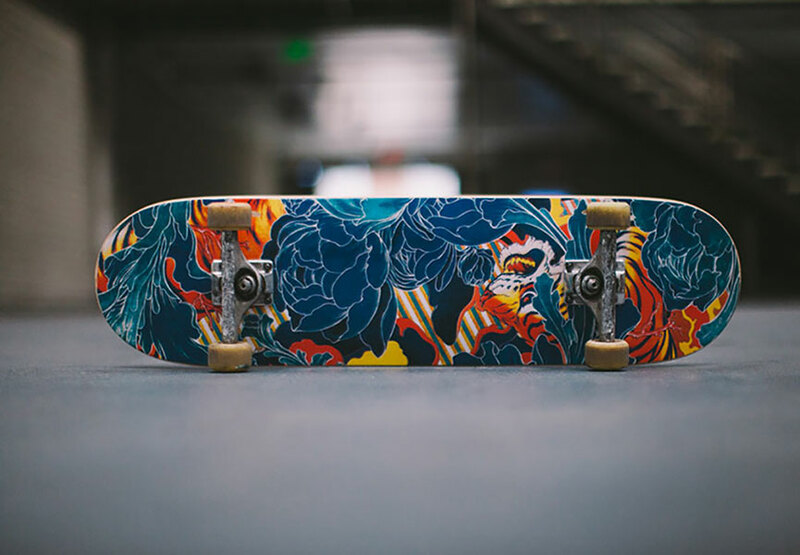 The deck comes in three designs by Jean – Coral Bird, Tiger and Wave, rendering a classic floral theme of the skating world. 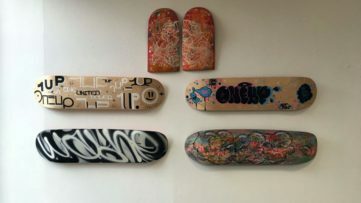 Recently, Andrew Schoultz hand-painted a series of skate decks at the Uprise Skateboard Shop in Chicago, producing a series of unique designs. The exhibition lasted one day only, but all the remaining designs were put online, selling fast, since such a rare collector’s gem is difficult to find. The best part is that all the proceeds from the exhibit were donated to charity. Schoultz’s style is the result of influences drawn from 15th-century German maps, medieval Persian miniature as well as contemporary street art. His work is marked by fantasy, strangeness and the attention to detail. 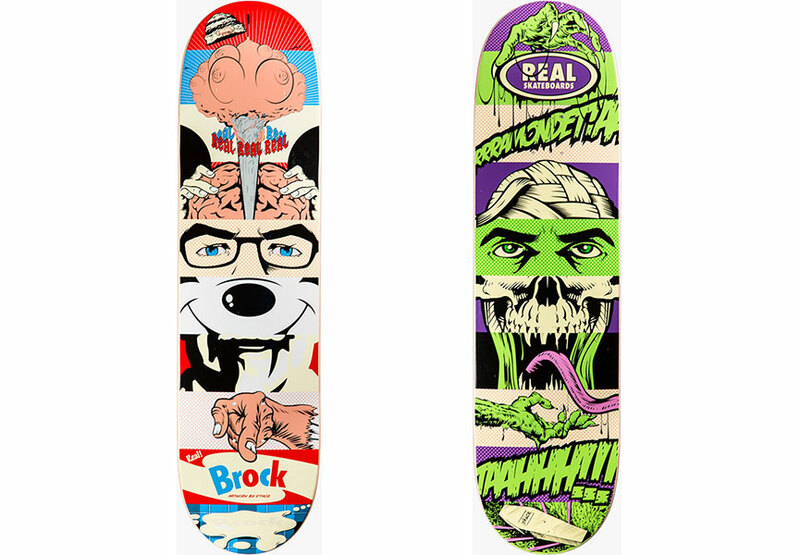 One of the graffiti pioneers from London, D*Face worked with REAL on skate deck design. The result is iconic, as he dreamed up three separate patterns inspired by skaters Pete Ramondetta, Dennis Busenitz and Justin Brock. Everything is limited here, both the number of decks and the time of their availability, but knowing D*Face painted a mural piece in London according to one of the designs makes these decks all the more desirable. 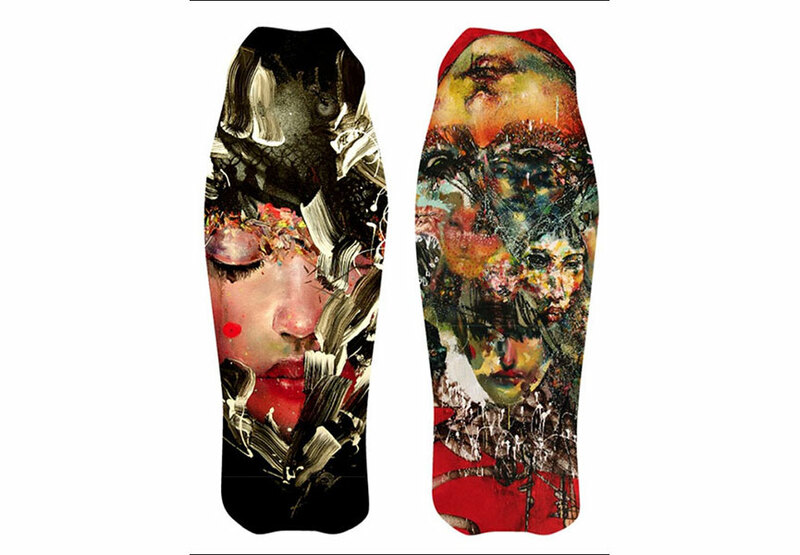 David Choe designed a set of skate decks back in 2010, and he had truly outdone himself. Working with Hammerhead, he conjured up a design worthy of a wall or a canvas. The Choe decks are titled Untitled Portrait and Ignored Prayers, and they came in a very limited edition of 50. Choe is famous for luscious, magnificent watercolor art and portraying women, often idealized and wearing heavy make-up. KAWS has been a sovereign of the urban design scene for quite some time. His focus is on the composition and colors, without any narrative. 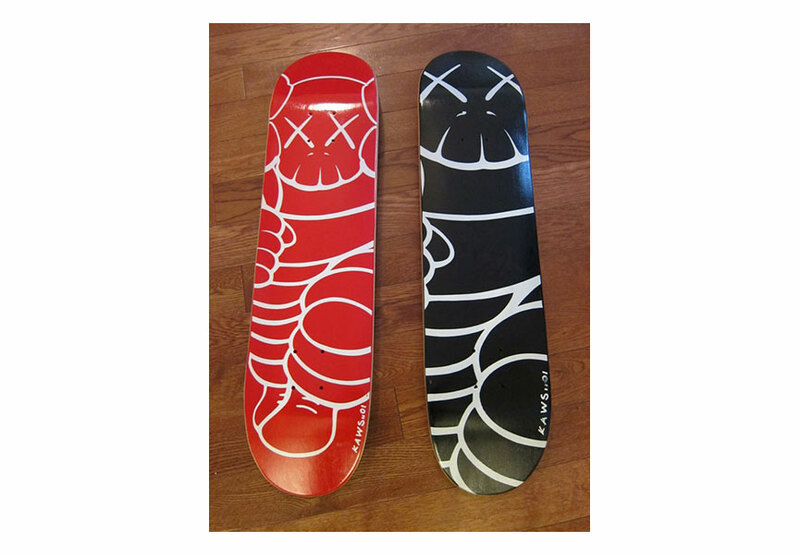 KAWS created street art, a clothing line, large toys and sculptures, collaborated with many different brands and made his skate deck, designed back in 2001, a catch. KAWS teamed up with Supreme back in the day, and created a simple, emblematic design for a limited edition of 150 skate decks. The price of this wooden piece is sky-high at €4.000 a deck. But as time flies by, it may actually be a good investment! 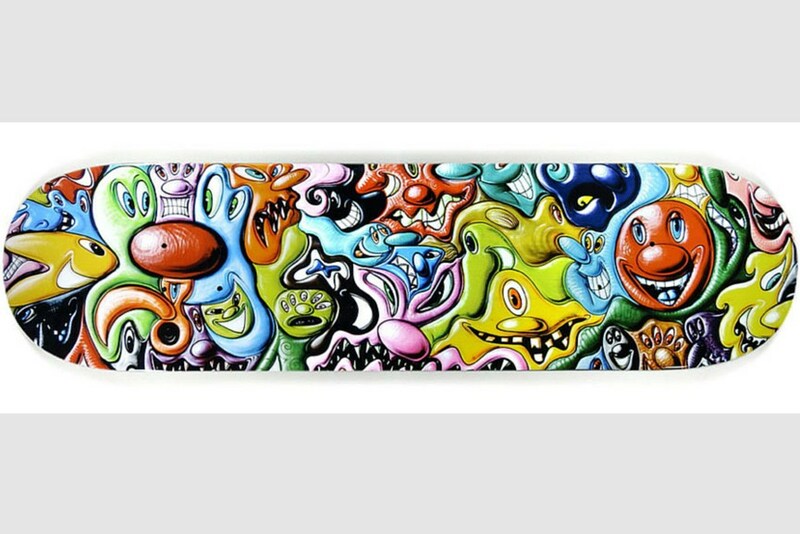 Kenny Scharf stays true to color and humor, even in the skateboard design. Limited edition decks from 2011 are for the bright spirited skaters and collectors alike, featuring a unique bubbly imagery inspired by science. Scharf is one of the 80’s graffiti leaders of New York whose work is rather satirical, employing a lot of popular cartoon characters and subversive comic book art. He tries to bring popular culture into fine arts and find out how far the line between low and high art can go. He dubbed his art, featuring anthropomorphic animals and imagined creatures, Pop Surrealism. Art Exhibitions, Photography Andrey V.